What is a Good Credit Score for Buying a Home & What are My Options? What is a good credit score for buying a home? The answer differs between VA, conventional, and FHA loans. And even within these categories, the answer is going to differ from lender to lender. While there are many programs that provide opportunities to borrowers with very low scores, higher scores will get borrowers the best rates. You should also keep in mind that the FICO score isn’t everything. Just because someone has a high score doesn’t necessarily mean they’ll be approved for a home. Other factors such as income or the price of the house are going to play a part in whether or not the bank thinks a borrower can afford their loan. More important than you having the highest credit score possible is you applying for houses you can actually, reasonably afford. This is what lenders are ultimately interested in determining, and this should be your main objective. The Department of Veterans Affairs has not set an official minimum credit score requirement for VA loans. 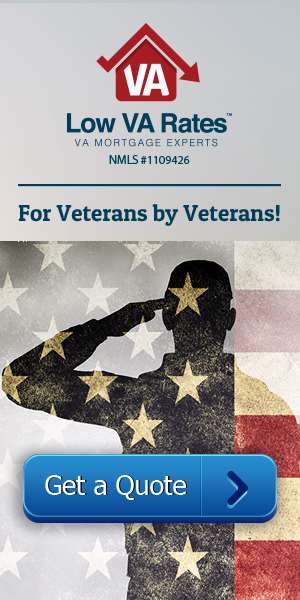 However, individual VA lenders are free to require certain minimum scores at their discretion. Depending on the lender you visit, the minimum credit score for a VA loan may be 620 or even higher for high-risk loans (like jumbo loans). With other lenders, no minimum credit score is required at all. This is how we at Low VA Rates operate. We go by the VA handbook and do not require any minimum credit score from our borrowers. Depending on who you ask, conventional loan lenders usually require a minimum credit score of 620 to buy a house. However, like with VA lenders, certain conventional lenders may not strictly enforce this number and may accept FICO scores as low as 500. Sometimes, lenders will approve prospective borrowers who present a good enough case for themselves. But this approval normally comes with very high interest rates. It may be that one unfortunate incident beyond the borrower’s control caused their credit score to take a hit. If this is the case with your FICO score, you shouldn’t forego applying for a loan altogether. Sit down with a loan officer and explain to them your unique situation. Help them understand that your score may not accurately reflect your ability to pay off a home loan. Some lenders even approve loans for borrowers who have no credit score at all. See what your options are. It’s likely that there’s a lender willing to help you. If you don’t qualify for a VA loan and can’t get approved for a conventional loan, try working through the Federal Housing Administration. Many potential homeowners with adverse credit are given a chance through FHA loans. FHA lenders are approved by the Federal Housing Administration within the U.S. Department of Housing and Urban Development. Most FHA loans are available to borrowers with credit scores of 580 or higher, and who are able to pay down 3.5 percent of the principle balance. If your credit score is around 500, you may be approved for a home loan if you’re able to pay a 10 percent down payment. In 2014, FHA loans were available at a credit score minimum of 640, but they’ve gotten much more attainable in recent years. FHA underwriting is also more flexible than that of conventional loans. And borrowers who have experienced bankruptcy or foreclosure in the past can be approved for FHA low credit loans. Keep in mind that the high rates and down payments of FHA loans may end up costing you more money in the long run than standard financing would cost. If you’re considering applying for an FHA loan, but aren’t necessarily disqualified from getting a conventional or VA loan, carefully compare the overall costs of each. You can make use of this online FHA mortgage calculator as well as our VA loan calculator to do this. There are many ways you can improve your credit score and therefore qualify for better rates on your home loan. First, set up payment reminders. Missed or delinquent payments are the number one killer of credit scores. If a reminder isn’t enough, enroll in automatic bill pay through online banking, and make sure you never miss another payment again. You can also improve your credit score by paying off the debt you’ve already accrued faster. While automatic bill pay will pay the minimum amount required each month, you can manually go in and pay extra anytime you like. Another way to improve your credit score is to keep your credit card balances low and to refrain from opening more lines of credit than you absolutely need. Remember, using credit is good, and necessary in today’s world: just make sure you only take on that which you can manage. For any other questions or tips, give our loan officers a call at (866) 569-8272.